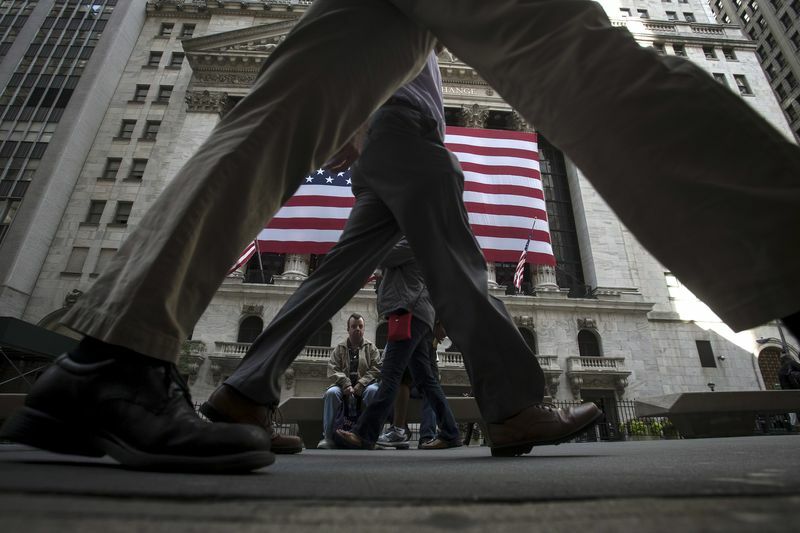 Global stock markets kicked-off the week on strong footing, with shares in and booking solid gains as nervousness seen in the markets recently appeared to subside amid a momentary thaw in trade war rhetoric and a solid U.S. jobs report. In Asia, , outperforming other regional bourses. The rose roughly 2.5%, while the blue-chip surged 2.8%. Elsewhere, European shares were higher in mid-morning trade, on course to post a fifth straight advance, with most sectors in the black. Basic resources outperformed peers, up by more than 2% as trade war news took a breather. Among national indexes, Germany’s auto-heavy inched up 0.3%, while the British blue-chip index gained around 0.5%. Markets have been on edge in recent weeks amid worries that a brewing trade war between the U.S. and its major trade partners could derail a rare period of synchronized global growth. U.S. stock futures , as investors took a break from trade-focused worries and remained encouraged by last week’s . At 5:40AM ET, the blue-chip were up 110 points, or around 0.5%, the tacked on 9 points, or roughly 0.3%, while the tech-heavy indicated a gain of 26 points, or about 0.4%. The and the rose to their highest levels in two weeks on Friday, as strong U.S. jobs growth blunted the impact of an escalating U.S.-China trade dispute. Wall Street’s second-quarter earnings season , with major U.S. banks JPMorgan Chase (NYSE:), Citigroup (NYSE:) and Wells Fargo (NYSE:) all reporting Friday. Away from equities, the against a currency basket, after the latest U.S. jobs report showed wages grew less than forecast in June even as the economy created more jobs than expected. The sluggish wage growth pointed to moderate inflation pressures that dented expectations for a fourth rate hike by the Federal Reserve this year. The , which measures the greenback’s strength against a basket of six major currencies, was down 0.3% to 93.50, the lowest level since June 14. In the bond market, the inched up slightly to around 2.85%. On the data front, the calendar is thin today, with no top-tier reports on deck. Global financial markets will focus on this week’s U.S. consumer price data, which should give clearer signs on the pace of inflation and fresh hints on the frequency of Federal Reserve rate hikes through the end of the year. to start the week, as market players continued to focus on global production levels. futures were at $77.80 per barrel, up 69 cents, or 0.9%, from their last close, while U.S. futures were down 13 cents, or 0.2%, at $73.66. Both benchmarks posted weekly declines last week amid indications of rising output from Saudi Arabia and the United States. Sunday night, delivering a fresh blow to Prime Minister Theresa May, as she struggles to end divisions among her ministers who felt her plan to press for the closest possible trading ties with the European Union had betrayed their desire for a clean break with the bloc. The pound initially fell following the reports, before staging an impressive turnaround amid indications that May would not face a major backlash against her Brexit policy and hopes that a softer Brexit may be on the cards moving forward. May appointed Dominic Raab as the new Brexit Secretary, a statement from the prime minister’s office said this morning. Raab was previously a minister for housing. Sterling was 0.5% higher against the dollar at 1.3355 (), having recovered from an overnight low of 1.3284.